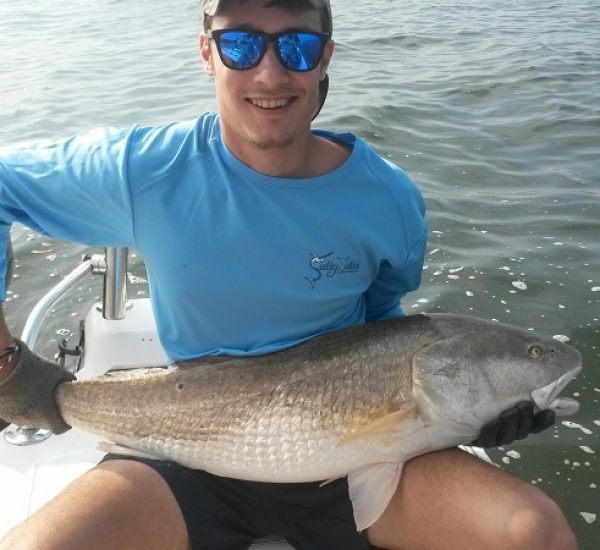 Wilmington NC offers a versatile fishery with countless options for inshore, nearshore, and offshore fishing in Wrightsville Beach, Figure Eight Island, Topsail Beach, Carolina Beach, and the Cape Fear River. 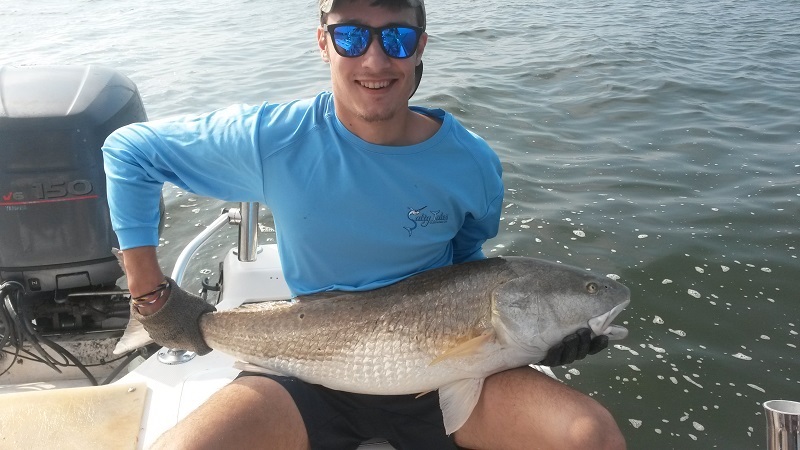 Come and join Captain Shawn Antley and make memories that last a lifetime! 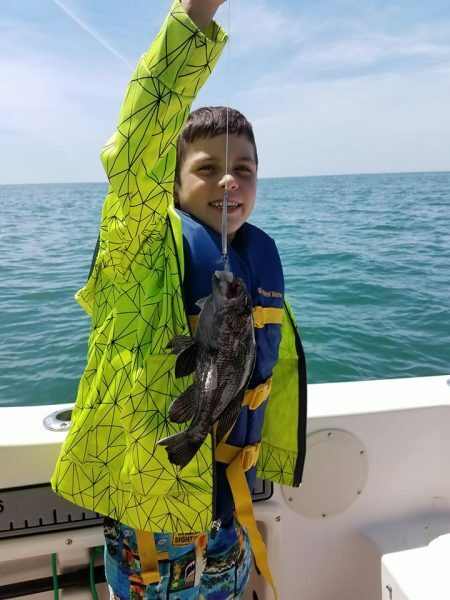 At A Fine Line Charters we understand that the next generation of children will be our guardians and caretakers of our oceans and its resources. We encourage you to take a kid fishing, change a life, and help create a bright future for our up and coming generation of anglers. 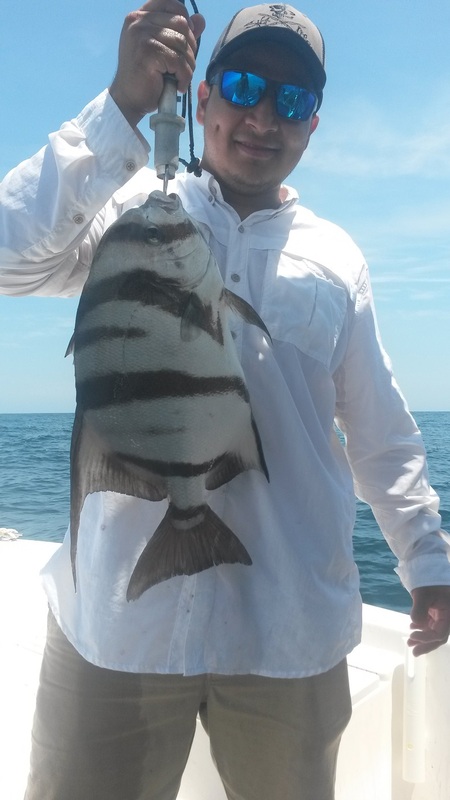 We offer a fishing experience like no other. 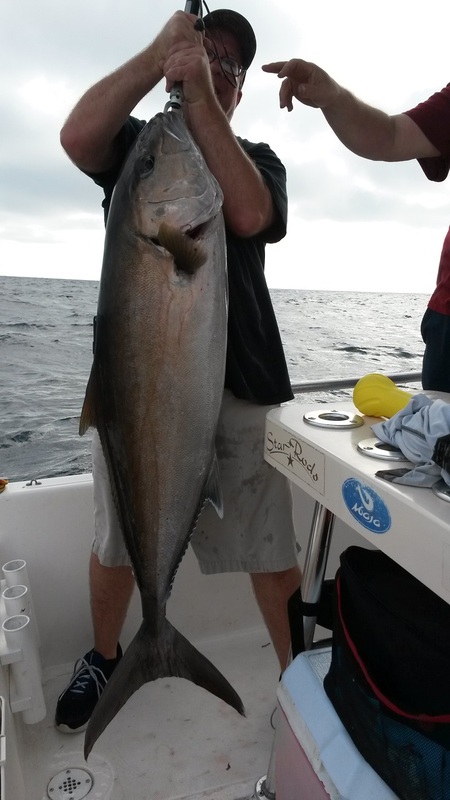 Whether you are a salty seasoned veteran of salt water fishing or a beginner just trying to enjoy the sport. We have custom trips to fit your needs. 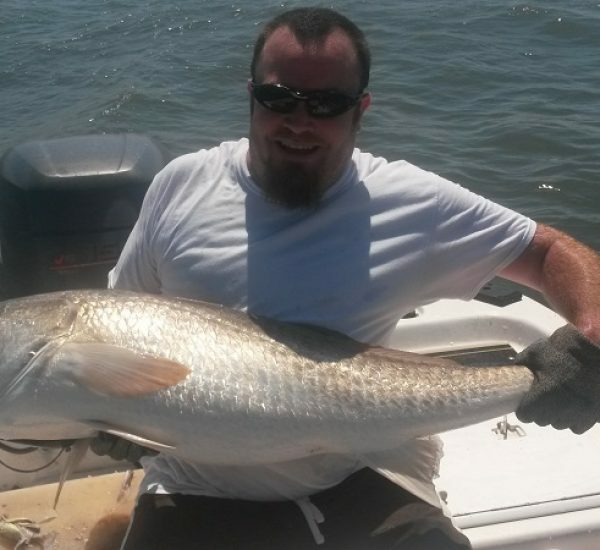 As a born and raised Wilmington NC local, Captain Shawn knows the waters of southeastern NC like no other. 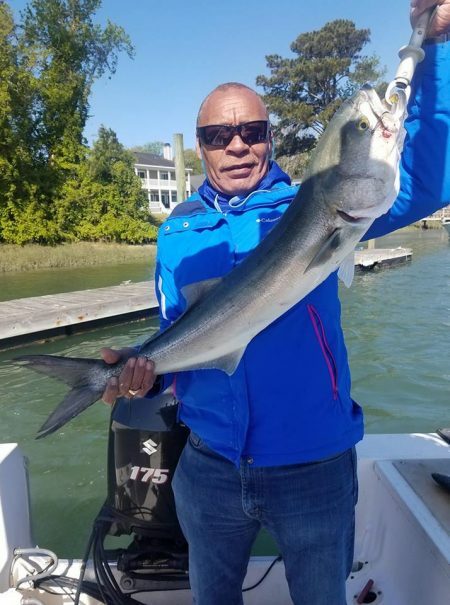 The experience of fishing with Captain Shawn will not only be a unique one, but will also leave you with a wealth of knowledge critical to mastering sportfishing in southern NC. 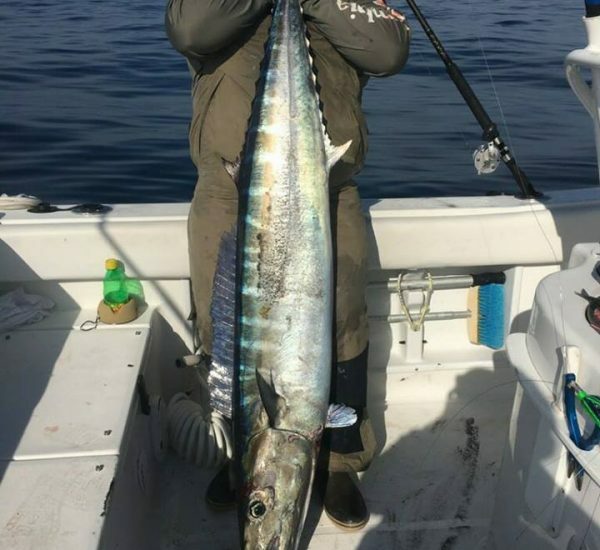 We hope at A Fine Line Charters that your experience will keep you coming back year after year for more salty adventures on our beautiful waters. After all many of our trips ran are repeat clients that have become friends to us over the years. Come join the fun and make lasting memories. 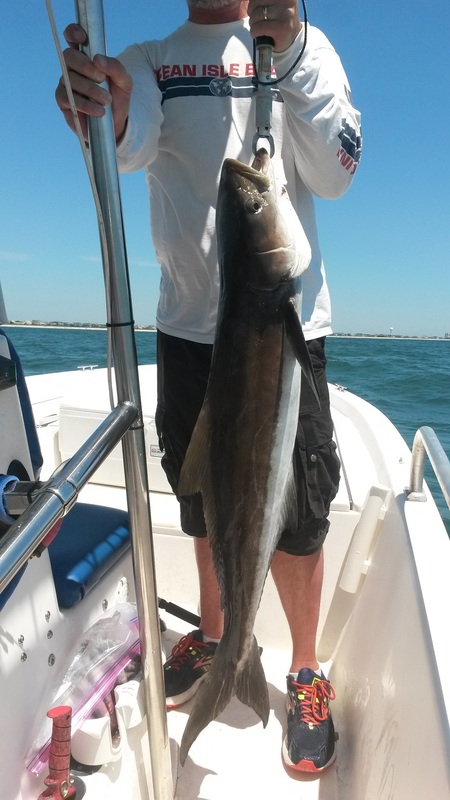 Book your Wilmington Fishing charter today! 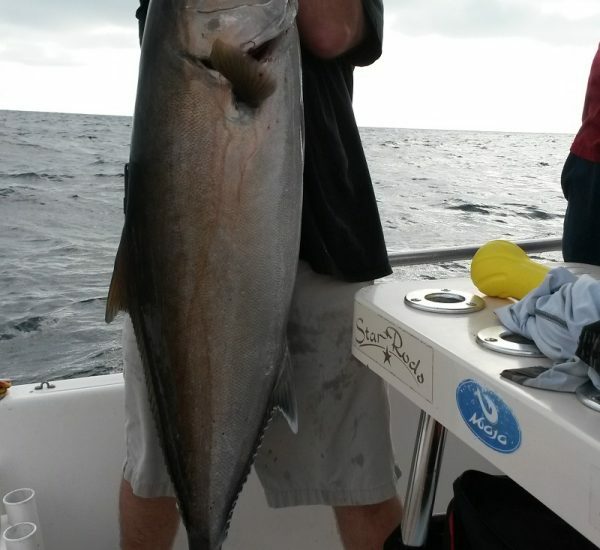 We customize our trips for the needs of our clients and promote a very family friendly atmosphere on our charters. 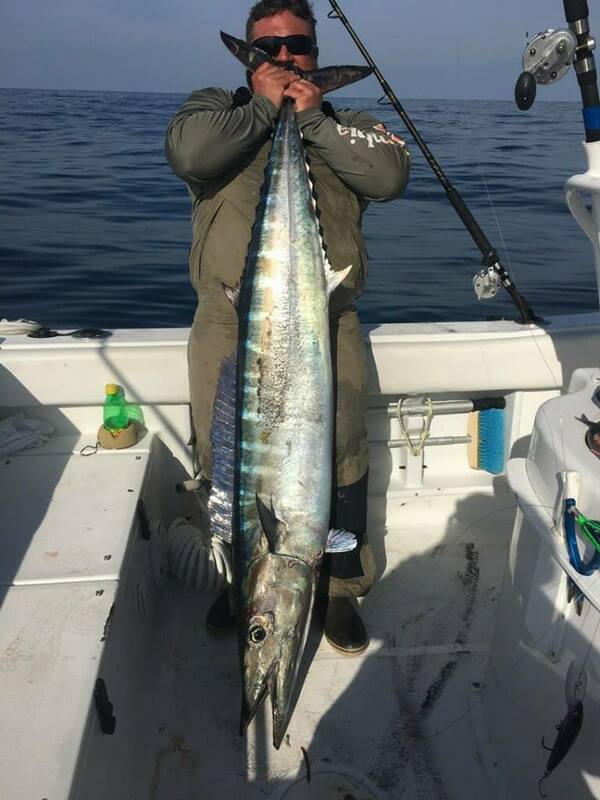 The Fine Line is a 22 foot Sea Pro that offers the versatility of fishing offshore wrecks, but also the grass lines and flats of inshore waters. 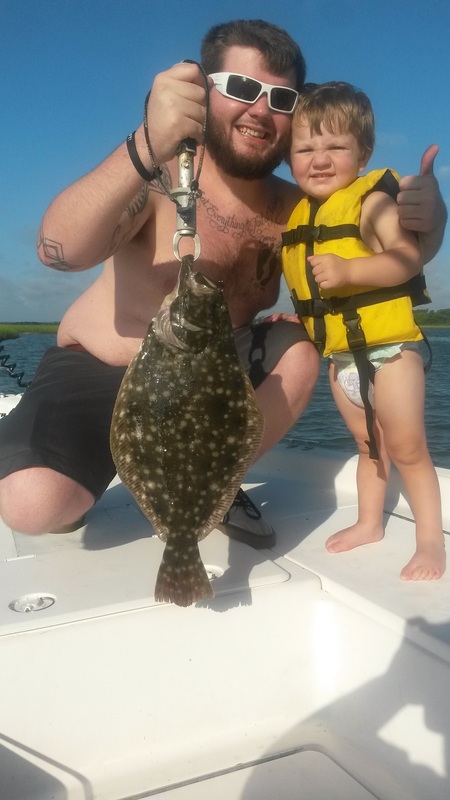 With the diverse geography in southeastern NC wrecks, ledges, inlets, jettys, oyster beds, docks and mud flats are all within reach to make for excellent fishing. 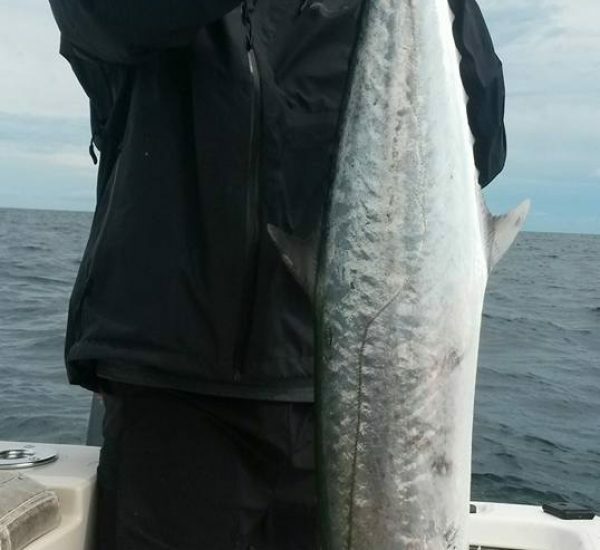 Our page on fish species will give you an insight into what fish we have available in our area to catch. 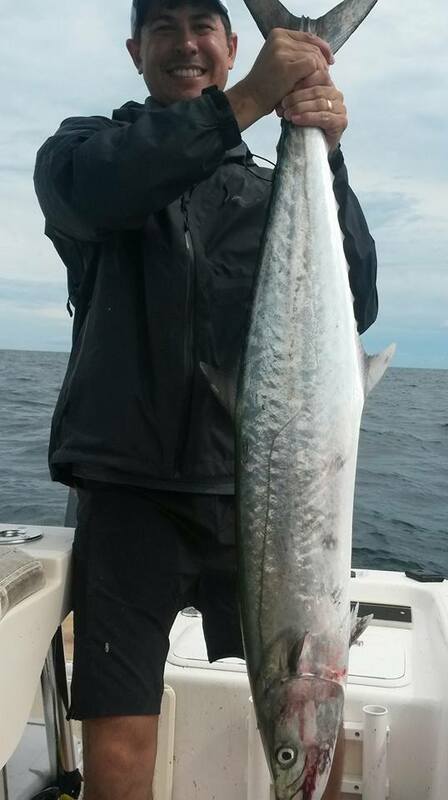 Offshore trolling offers a chance at trophy pelagics such as mahi, cobia, and king mackeral. 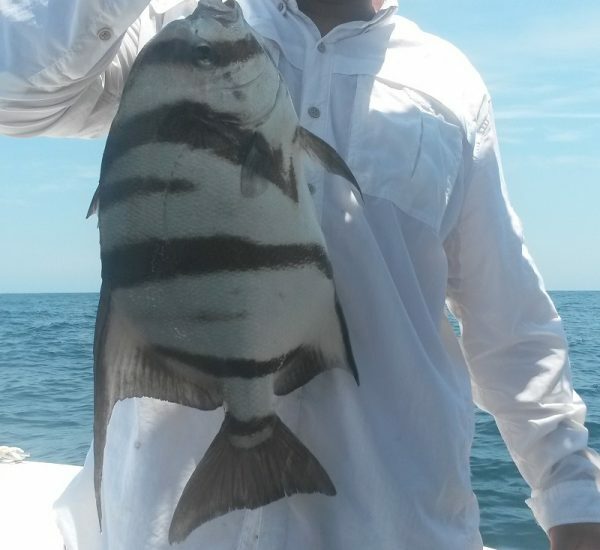 While bottom fishing offshore can yield grouper, snapper, and seabass. 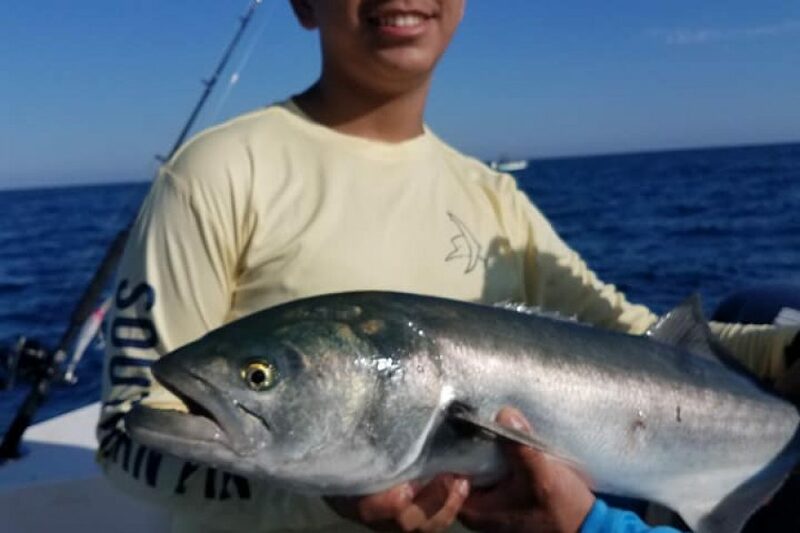 Nearshore trolling, we catch large numbers of Spanish mackeral, bluefish, and atlantic bonito. 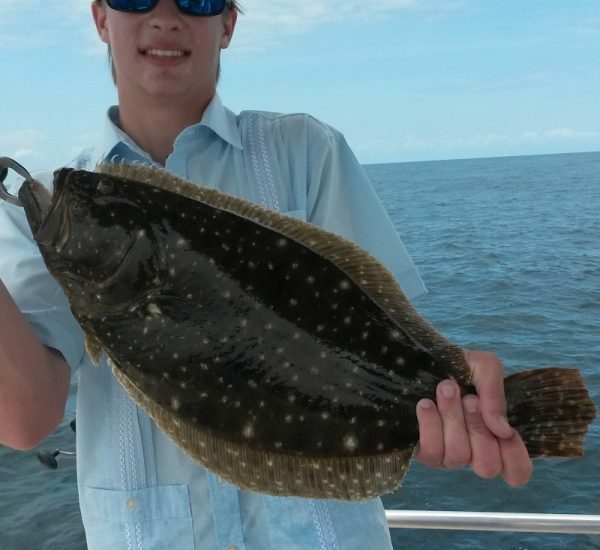 On the bottom nearshore you can expect grey trout, large ocean flounder, and bull redfish. 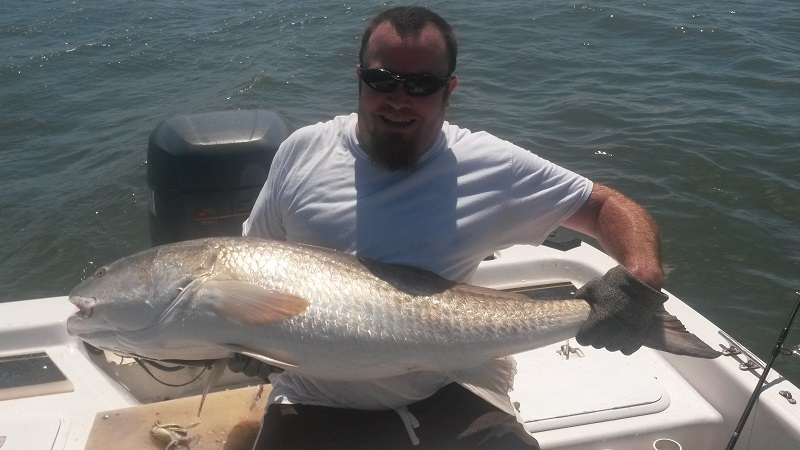 Inshore fishing can produce redfish, flounder, black drum, and speckeled trout. 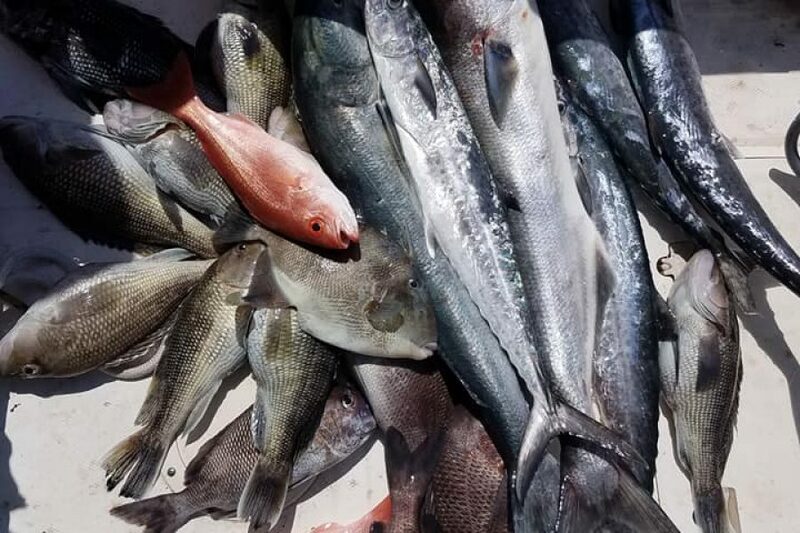 This is just a quick summary of what we catch, but rest assure there are many other species that I have not listed that will make for exciting fishing with Captain Shawn. Great time. 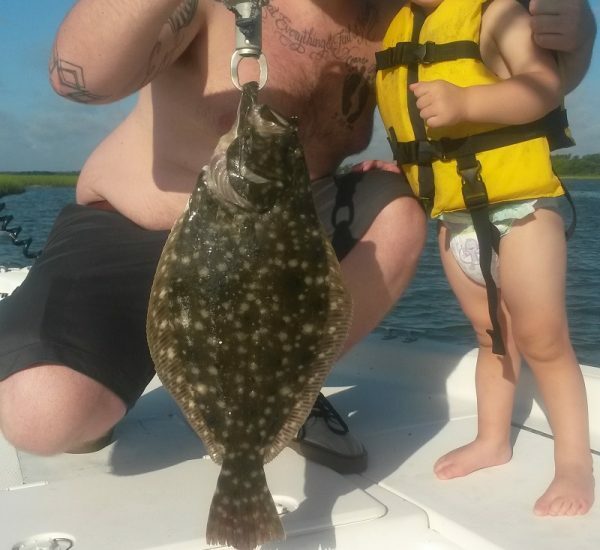 Super patient with 7 and 5 year old (even after one hooked Captain Shawn). 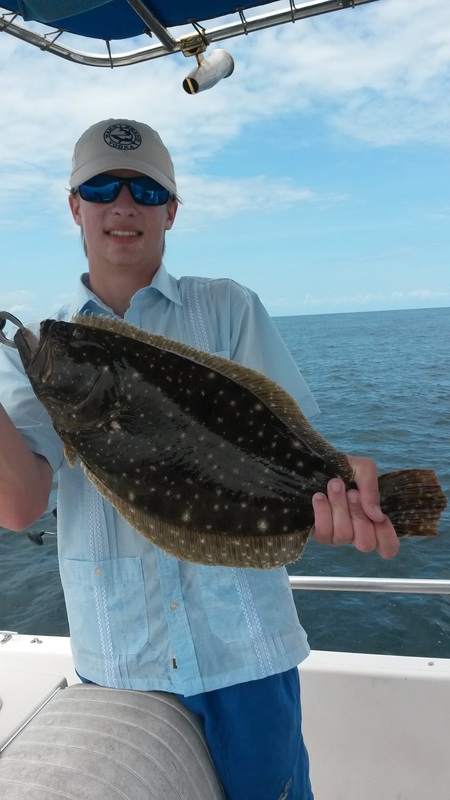 Very knowledgeable and has a passion for fishing. 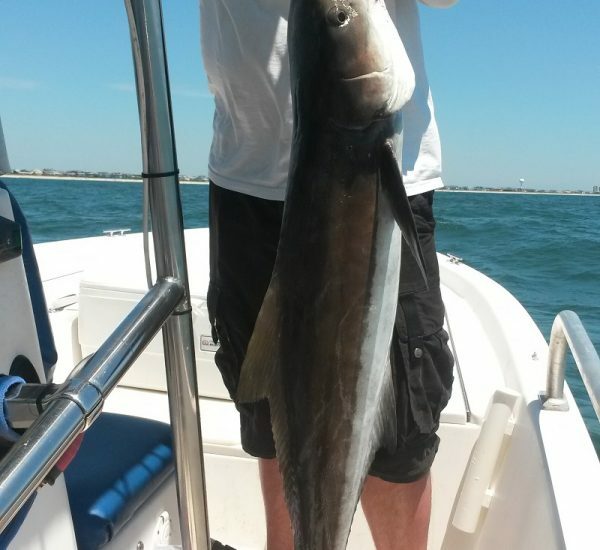 Topsail Beach NC Fishing Charters.